Asia is a fast-growing, large and diverse continent, encompassing many countries, cultures and languages. 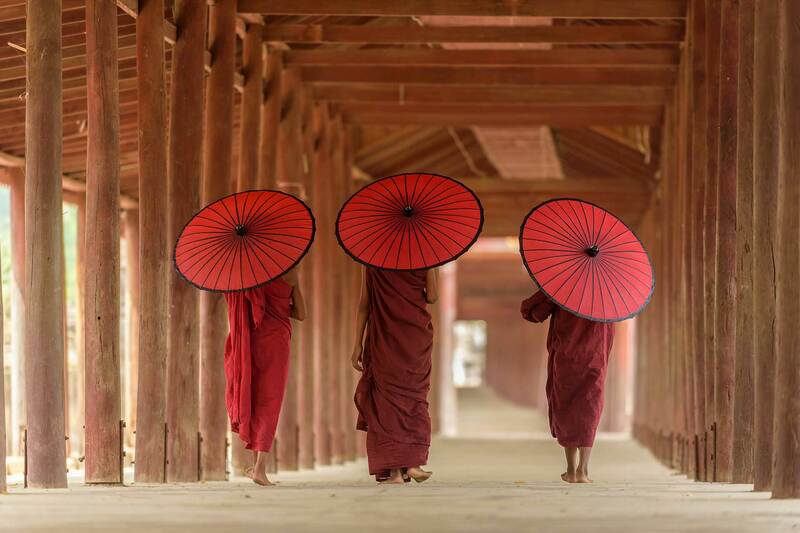 Combining Asian Studies with Religious Studies enables you to engage with the cultural diversity of Asia and gain a solid understanding of the world’s major systems of belief. As the world’s most populous continent, Asia is also notable for the diversity and strength of religions practised, including Islam, Buddhism, Hinduism and Christianity. Kent offers a range of modules reflecting the central place of religion in human life and thought. Some modules provide introductions to major world religions; others investigate philosophical themes within religious studies; and others explore connections between religion and topics such as psychology, sociology, science, ethics, popular culture, films, literature and the arts. The two subject areas in combination therefore provide you with an insight into cultures and ideas that span continents. Religious Studies at Kent scored 90.3 out of 100 in The Complete University Guide 2019. In The Guardian University Guide 2019, over 86% of final-year Religious Studies students were satisfied with the overall quality of their course. This course investigates the beliefs and practices of Jews and Muslims in the world today. Topics in Judaism include the life and work of the Patriarchs, the concept of the 'chosen people', the Promised Land, the Torah, synagogue, Jewish festivals and the Jewish home. In the case of Islam, topics include the life and work of Muhammad, the Five Pillars, the Qur'an and Hadith, Sunni and Shi'ite Muslims, Sufism, the Shariah and the Islamic contribution to the arts and sciences. TH341 - What is Religion? This module will introduce students to discussions about the definition of religion and to some of the disciplines in which religion is studied, with special reference to the differences between Theology and Religious Studies. Particular consideration will be given in the initial weeks to the phenomenological approach and to the efficacy of Ninian Smart's dimensions of religion. In the following weeks, the module will be focused on the comparative study of religion (with reference to Eliade), the sociology of religion (with reference to Durkheim, Weber and Marx) and the psychology of religion (with reference to Otto, James, Freud and Jung). The module will also host a study skills session to be run in conjunction with the Student Learning Advisory Service, the aim of which is to equip students with key study skills in the areas of writing essays, referencing and plagiarism-prevention. The curriculum will be structured to introduce students to a range of key theories and debates which provide a basic framework for the social and cultural study of contemporary religion. Each session will introduce students to a particular theory or debate, using panel presentations in the seminars to get a small group to present their initial understanding and questions of relevant introductory literature. Throughout the module, students will be helped to see possible connections between these various theories and debates, as well as think about current issues to which these theories and debates might be relevant. This module provides an introduction to the theoretical, methodological and socio-political issues pertaining to the cross-cultural and comparative study of philosophies, ideas, worldviews and religions. It will introduce and explore theoretical frameworks and methodological questions related to the translation and representation of ideas, texts and worldviews as explored by different theories of interpretation. It will also explore issues surrounding understanding rituals, cultural practices and modes of identity formation and reflect upon the nature of 'the global' and ‘globalisation’ as categories. Questions to be explored in this module would normally include: how does one determine the meaning of a text? What hermeneutic, ethical and political issues arise when translating a concept, idea or practice from one linguistic, cultural or historical context into another? What are the challenges and pitfalls of comparative analysis? How do ideas, texts and forms of identity take on new meanings in the global circulation of ideas, practices and people? How does the mode of media/technology (oral composition, printed text, film, digital representation) impact upon thinking and its interpretation? The primary aims of this module are to give students a critical grounding in current cultural theories of the sacred, to provide them with opportunities to explore how these concepts relate to contemporary social and cultural phenomena, and to reflect on how this process might help us to refine cultural theories of the sacred. The module will enable students to distinguish between ontological and cultural theories of the sacred, and will introduce them to key cultural theorists of the sacred such as Durkheim, Shils, Bellah, and Alexander. A range of cases will also be explored to provide students with opportunities to think about how relevant concepts might relate to specific social and cultural phenomena, and to provide a basis for the analytical work they undertake in their assessed work. The aim of this module is to enable students to understand and evaluate the range of models by which film and religion may be employed as conversation partners and to provide them with the tools necessary for exploring critical links between theology/religious studies and the medium of film. The course will begin with an examination of the methodological, conceptual and disciplinary issues that arise before exploring in critical depth the historical relationship between religion and film, with specific reference to the reception (ranging from prohibition to utilisation) of film by different religious groups. There will be a focus on particular categories of film and categories and models of religious and theological understanding, allowing students taking this module to develop the critical skills helpful for film interpretation and for exploring possible religious and theological approaches to film criticism. This module will enable students to analyse and understand the development of Christian theology over the last two hundred years. We will be critically evaluating the significance and contribution of a number of leading twentieth century theologians from a variety of denominational backgrounds and endeavouring to understand to a sophisticated degree the changes in Christian thought and practice in a variety of situations in the twentieth century. The module will begin by surveying the main strands of post-Enlightenment Christian theology, including the contributions of Kant, Schleiermacher and Feuerbach. There will be a detailed focus of two of the 'Death of God' theologians from the twentieth century, Thomas Altizer and William Hamilton. We will then critically evaluate the significance of Dietrich Bonhoeffer and his influence (with particular reference to Harvey Cox and John A.T. Robinson); Liberal Protestantism and the rise of Neo-Orthodoxy, with particular reference to Paul Tillich and Karl Barth; Rudolf Bultmann and his programme of demythologisation; and an interrogation of the Christian understanding of 'hope' with specific reference to Jürgen Moltmann. The module also involves a study of key theological movements, in particular Liberation Theology, Black Theology and Feminist Theology. This module will examine the theme 'Global Christianities' through the lenses of the anthropology of Christianity and the sociology of religion. We will explore the ways in which we can see Christianity as a cultural product, and how Christianity has shaped different cultures and societies globally, as well as how the religion has been shaped by and through encounters in different local settings. We will look at the history of the globalization of Christianity, and consider the historical, political and economic effects of local missionary encounters. The course will examine the processes of conversion to Christianity in different contexts, both at the level of individual and broader social group, and how these have been understood in relation to concepts of 'modernity'. The course will draw attention to the relatively recent emergence of the anthropology of Christianity in relation to the broader disciplines of anthropology as a discrete area of study and how this relates to the study of Christianity as a global phenomenon within sociology. We will consider the ways in which these disciplines have constructed and objectified 'religion' as an object of study in ways that have historically occluded the social scientific study of Christianity in different global contexts. The course will address some of the main debates in the anthropology of Christianity, deepening understanding of global Christianities through exploring studies of Christian cultures in diverse ethnographic contexts. The topics addressed may include: culture and conversion; globalization and localisation; interrelations between Christianity, subjectivity and language; embodied and emotional forms of different Christianities; concepts and experiences of God; mediation, immanence and transcendence; coherence and fragmentation; gender, sexuality and the family. Through engaging with readings on these areas, we will explore the socio-religious power-dynamics of Christianity in relation to both culturally dominant and marginal traditions. This module will explore the theme of 'Biblical Codes' from two angles. Firstly, we will be exploring how different writers and groups (some of them inside the Bible, some of them outside it) have read the Bible as temporal or political code. For example, the biblical book of Daniel attempts to decode the book of Jeremiah, which had already become deeply mysterious to ancient readers. Similarly, the New Testament 'deciphers' biblical prophecy and motifs by applying them to Jesus or the Roman Empire. At the other end of the time spectrum, we find bestsellers like Michael Drosnin's The Bible Code (1997), Hal Lindsey and Tim LaHaye's attempts to decrypt biblical visions of the end of time by way of contemporary global politics, or recent readings of the book of Ezekiel as prophecies about UFO’s. Techniques of decryption are also built into central developments within Jewish and Christian traditions. In fact, what is often called the history of 'hermeneutics’ could also be described as the history of 'How not to read literally’. We will be looking at a range of examples of such developments by focusing on readers like Philo of Alexandria, Augustine of Hippo, or Jewish Kabbalah. Secondly, we will undertake some in-depth readings of prophecy, apocalyptic, or wisdom texts—the ones that readers of the Bible find most difficult to ‘decode’. Texts to be studied will be taken from the Old Testament/Hebrew Bible, the New Testament, and the Pseudepigrapha. We will be exploring the contexts that produced these literatures and thinking about how to read (decipher?) them across the abyss of time. The Bible is commonly thought of as a book that has got its story together, and a bastion of monotheism. We think of the Bible as the very opposite of the projects of Comparative Literature and Comparative Religion: one book, one literature, and one God. However, as soon as we start reading we discover a library of divergent books, literatures and gods. The bulk of the 'books' in the Bible pre-date structures like the codex and the author. They borrow, often very explicitly, from other literatures: for example, Wisdom Literature and Proverb Collections from Egypt and Mesopotamia, Greco-Roman novels and philosophical tracts. Through a series of selected readings, students will critically engage the question of the comparative, the plural and the foreigner by looking at topics including (but not limited to) the question of the other, or the outside on the Bible's inside; other literatures from which the Bible borrows (e.g. the Epic of Gilgamesh or Lives of the Philosophers); narratives that are 'othered', doubled or tripled within the Bible (inner-biblical mimicry); and examples from modern literature, film and philosophy that adapt and respond to biblical narratives, tropes and gods. Asia contains many of the world's fastest-growing economies, so knowledge and understanding of this region will help you to stand out in the employment market. In addition, the ability to speak another language is a key asset and many employers view a graduate with overseas study experience as more employable. Recent Religious Studies graduates have gone into areas such as teaching, publishing, travel, advertising, personnel, diplomacy, social work, journalism, media, marketing and the legal profession, or further academic or vocational qualifications. Through your studies in both subjects you gain the key transferable skills considered essential by graduate employers. These include excellent communication skills, both written and oral, the ability to work in a team and independently, the ability to analyse and summarise complex material, and the ability to devise innovative and well-thought-out solutions to problems.